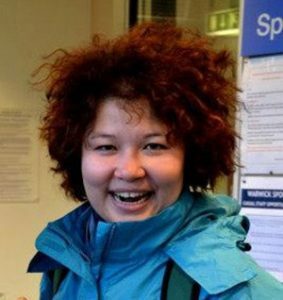 Maira Zeinilova joined the Caspian project to conduct doctoral research in women political participation/representation within the political system in Kazakhstan. Maira holds BA in International Relations and Conflict Management (Moscow State Linguistic University, Russia), MA in Gender and International Development (University of Warwick, UK) and LL.M in International Law (KIMEP, Kazakhstan). She has extensive experience in development, specifically in gender equality and women’s empowerment, working in civil society sector, the diplomatic mission of Israel to Kazakhstan (MASHAV – Israel’s Agency for International Development Cooperation) and UN Women – the United Nations Entity for Gender Equality and the Empowerment of Women. Since 2005 Maira has contributed to implementation of variety of programmes in the area of women economic empowerment, elimination of violence against women and girls, advancement of women’s political participation at decision making level and in peace building processes in the former Soviet Union at the policy and institutional level. Maira has been involved, inter alia, in the following activities: gender responsive budgeting in Armenia, Kazakhstan, Moldova, Kyrgyzstan and Russia, informal employment in Kazakhstan and Azerbaijan, temporary special measures for gender-balanced political participation in Kazakhstan and Uzbekistan, access to land resources in Kyrgyzstan and Tajikistan, good governance in Tajikistan, enforcement of domestic violence legislation in Kazakhstan etc.